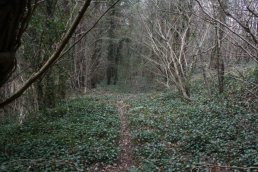 Penyard Hill gets it's name from the Welsh "Penyard" meaning "high hill". On the top of Penyard Hill is an open area of farm land with the farm buildings to the east and the ruins to the south of the so called Penyard Castle. 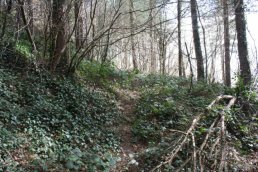 There are large heaps of soil and rocks on the top of the hill. These is the remnants of a massive fire that swept over the hill destroying a large reas of woodland. The burnt areas where cleared and piled up to form the heaps. 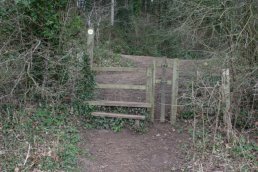 On the west side of Penyard Hill is the stile known as Pleasant Stile. 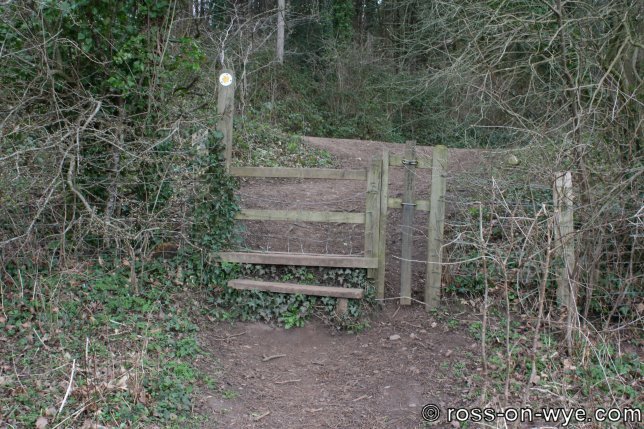 The path from the stile now runs along the forest access road but originally it went straight over the hill (as seen in the photos below) to join with the path that runs north-south over the hill past Penyard Castle and on to Weston-under-Penyard.